Welsh Information Literacy Project – Spreading the word one buffet at a time …..
A bit of an international feel to the project teams recent conference and advocacy activties, with visits to Cardiff, England and Denmark! Project Manager Andrew Eynon attended the ‘Information Literacy: A way of life’ conference in Nyborg, Denmark on the 10th– 11th May. Many questions were asked about the Welsh project and attendees were very impressed with the advances made already with regards to embedding information literacy across different sectors in Wales. It was interesting to see the similarities faced in both Wales and Denmark with regards to raising awareness of information literacy issues outside a library audience. Drew Whitworths keynote address can be found here. Project Officers Pat and Gina attended the CILIP in Wales conference on 18th May in Cardiff – Alyson Tyler also blogged about the conference here . One of the sessions our project officers attended was Caroline Roche’s “Speaking from the Heart – a voice to school librarians” in which she gave an enlightening insight into the situation of school libraries and librarians within England. Caroline also demonstrated a blog that she had created called “Speaking from the Heart” http://heartoftheschool.edublogs.org which sets out to show the professional work that school librarians carry out and showcase best practice. Pat also attended a very useful session delivered by Lori Harvard in which she described the Love Your Library Day at Swansea University. The event was used as a way to gather feedback from customers about their library service in a way which was fun and engaging. Text and tweet walls (and cakes!) were used to gather feedback as well as the more traditional methods that libraries regularly use. Project Officer Síona attended the RSC North West training day on Independent learning in Stockport. A great, collaborative day sharing insights and challenges with an enthusiastic group of librarians, learner support staff and tutors. It gave us LOTS to think about and there’s more detail here. More dates lined up over the next few months, with project visits to the Gregynog Colloquium (Mon & Tues for all you poster junkies), CILIP in Scotland and the CILIP IL Executive briefing due before August. We’ll keep you posted and hands off the hors d’oeuvres – the mini pizzas are ours! At the RSC North West ‘Want your learners to be more independent?’ event I felt I had my eyes well and truly opened to the benefits of, and dare I say it, the necessity of embedding information literacy skills into learning provision – whatever form that provision that may take. Anthony Beal and Hilary Thomas (RSC) asked us to start thinking about what our definition of ‘Critical Thinking’ and ‘Independent Learner’ might actually be. Cue much head scratching and pen waving, but ultimately many similar ideas from a mixed group of tutors/librarians/learning support officers. Critical thinking suggestions included the ability to analyse, compare, contrast and assess information in a more in-depth way. An independent learner has a myriad of traits – motivated, self directed, responsible, reflective, engaged and (crucially) intrinsically motivated by making progress. The term Information Literacy itself was queried – are teachers/tutors familiar with this term too – does it have meaning outside of the research or information professional’s toolkit? If you walked into a classroom and asked “hands up anyone who’s information literate”, would you be met with blank stares? And not only because you’re a raving stranger that’s just walked into their classroom……..
Deborah Millar and Joanna Neil from Blackburn College gave great insight into the uses and benefits of social media tools including Pintrest, Tumblr and Scoopit and how these sites help to support their learners to study, expore, research and reflect on the regular feedback they can offer as tutors. But their talk also gave us more to think about regarding the role of a tutor/teacher as ‘expert’ and the understanding of true collaboration within a students learning journey. It set us on the path to question our role titles and how that might affect provision (division of support) and also who ‘owns’ knowledge or information within an institution. This insight paved the way for a talk by Jane Secker and Emma Coonan, which was a quickfire but insightful overview of ‘A New Curriculum for Information Literacy ‘ (ANCIL) project, which they had both developed during their secondment to the Arcadia Project -exploring the role of academic libraries in a digital age. 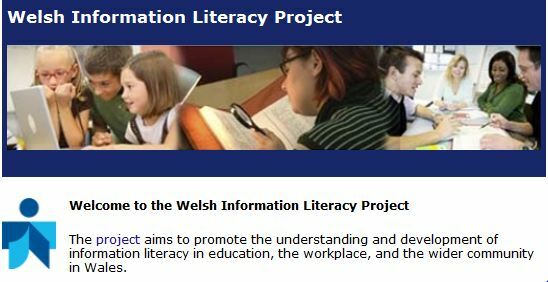 While the main focus of the project was Higher Education, there were significant, transferable conclusions and new ways of thinking about Information Literacy that relate to the Public Library and Schools stream of the Welsh Information Literacy project. The Institution Audit Worksheet especially enabled the group to start discussing and investiagting who currently has responsibility for supporting students develop their IL skills in our organisations, broken down by strands including becoming an independent learner or resource discovery. When you really look at learner support provision in this way, it becomes clear quickly that in many cases several departments/staff groups are involved and not everyone collaborates to make it a seamless experience for learners. I think this training day was the first opportunity I’ve had to really THINK about Information Literacy and make meaningful connections to help categorise or attempt to lasso all the different approaches in order to spread the word and support our advocacy activities. I feel it’s important to re-visit this question with a new WILP project team and also as we are approaching lots of new stakeholders who are encountering this for the first time. Is it a concept, an ethos, a skillset, a scheme of learning, a framework? Well, yes to all – but also a pathway, a continuum, a cyclical process of learning, exploring and reflecting to enable people to cope with the demands of whatever information context they find themselves in. Before we get too metaphysical here, I think the point I’m trying to make is that the question should really be “Am I information literate right now?” – do I have the information skills necessary to help me to be insightful and successful for my challenges today? And to make sure we ask ourselves and ask this question of our learners regularly. There are a set of identifiable skills, yes but potentially infinite levels of skill development – there is no ‘end point’. We need to move away from thinking about Information Literacy as a set of finite, tick box competancies – definable, yes, measurable, yes but continually evolving. However, when we start talking about accreditation, impact and measurement there is a danger of falling into the trap of “right, you’ve done the test. You’re information literate now, put that in your PDP and off you go”. Embedding information literacy into our services and user/learner support should be about enabling a generation of life long learners – is that happening in your organisation? Mike Mannion (in his keynote address) stressed the importance of “embedding IL within the curriculum” for its impact to be truly felt – this will be an important aspect of Objective 2 of the project. The majority of presenters highlighted the need for institution-wide change to adopt IL practices, so the advocacy and stakeholder networks we support will be crucial to reaching key influencers for each project theme – public libraries, schools and employers. There was great interest in the WILP poster and the employability aspect of the project – crucially, asking how successful it was. One clear cross-cutting theme throughout the conference was that of collating EVIDENCE of IMPACT – is this being recorded? Can it be measured? Is your service able to ‘prove’ any positive influence on user or staff behaviour/attainment due to IL activities? While the project team are IL advocates, here to facilitate individuals and organisations to adopt and embed Information Literacy activities – we also need to be mindful of opportunities to measure the tangible successes of this approach. It was further noted that the Public Library and Schools sectors seemed to be under-represented at the conference (or is this a true reflection on current IL activities throughout the UK? ), with the majority of participants coming from a HE background. The WILP Phase III is seeking to engage with both the Public Library and Schools sectors to support the development IL activities through advocacy and accredited training – could our achievements be measured in increased representatives from those sectors next year maybe? If, like us, you were unable to attend the full three day event, you can now see all of the presentations from LILAC12 online and check out what attendees where talking about by searching for #lilac12 on Twitter. * Post title from a gem of a song by Gene Austin “Jeannine,I dream of Lilac Time”(1928). 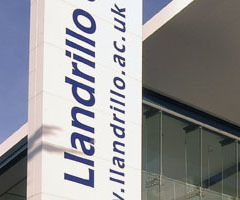 The 29th of March was a very significant day for the Welsh Information Literacy project – being mentioned specifically in the Digital Classroom task and finish group report , as one of the core features of success for supporting the recommendations of change to drive forward the digital learning agenda in Wales. It is testimony to the success of the project team in Phase I and II to have the Information Literacy framework highlighted again in such a defining report, but it also has the new project team thinking about how we can positively contribute to this process. This blog post is very much a reflective piece concerning this question. The scale of change as detailed in the Digital Classroom report is extensive – for those of you who haven’t had the chance to read it yet, the review sought to answer the question posed by Leighton Andrews in 2011 – ‘Which digital classroom delivery aspects should be adopted to transform learning and teaching for those aged 3-19’? The report concentrates on two main themes – that of supporting the learners and teachers in developing skills/sharing knowledge and also of creating a dynamic virtual learning cooperative of best practice learning and teaching resources. These themes would be supported and guided by a new public body called ‘Hwb’ and a network of e-coordinators, Learning Technologists and teacher champions. Learners and teachers would have access to a life long learning portfolio and resource dashboard that would grow and adapt through their learning journey. The online resource space suggested gives the impression of an amalgam of current activities in the JISC Regional Support Centres, National Grid for Learning Cymru, National Library public collections and local VLE systems – but utilising the best features of them all. The WILP project team can contribute to these goals in a number of ways – not only through advocacy activities to introduce and promote the importance of IL in schools, but also by contributing to the learning resources needed to help teachers embed IL within the curriculum. Providing practical support at PGCE and training level will also be vital to the successful adoption of new digital learning strategies. We hope that the professional experience of the Phase III team in providing support to teacher trainers in their alternate roles within Grwp Llandrillo Menai means we are well placed to support this outcome. This striving to improve practitioner skills also has resonance with the Welsh Public Library standards, as highlighted by Libraries Inspire Framework. Here too the Welsh Information Literacy project is specifically mentioned (section 4b!) as being crucial to public libraries being able to support their users. Sections 1e (health & wellbeing), 2h (staff toolkits), 3b (improve use of technology) and 4d (adult, community and multigenerational learning) can also all be positively influenced by the project aims. It is section 5 – Investing in people where the objectives of the WILP, specifically the Agored Cyrmu unit development, is complimented by the practical experience of the Phase III team. This is most notable through direct staff involvement in the delivery of Library qualifications such as the ICTL and Foundation degree. Having several years experience of supporting public librarians and front line information professionals throughout Wales gives the project team a unique insight into current developments of libraries in Wales and the motivations, concerns and aspirations of it’s staff. The project officers involvement in the creation and delivery of course content in relation to digital technologies to support learning and collaboration also underpins the team’s understanding of the ‘digital competencies’ highlighted in the Digital Classroom review. It also gives us the opportunity to reflect on many of the cross cutting themes highlighted in the Delivering a Digital Wales framework. Likewise, the involvement of project team members in JISC and CyMAL activities to facilitate the development of communities of practice and peer support networks within HE, FE and Public Library groups brings an awareness of the importance of collaboration and professional networks in supporting planning, advocacy and new skill development. It is very important for us that the aims and objectives of project Phase III are informed by these cross-sectoral strategic development plans in Wales and that delivered project outcomes provide practical support to the Information Literacy agenda. This approach, in addition to the guidance provided by the established project steering group and the professional experience of the team members, will give us the best possible start to Phase III. Project team members will be contacting stakeholders across Local Authorities – schools and public libraries – to develop the central themes as highlighted in our first Welcome post. If you would like to get involved or get in touch with the project team, please contact wilp@llandrillo.ac.uk or follow us on Twitter @welsh_info_lit !